B. Riley Wealth allows Aaron Fiske to fulfill his passion for helping others while being a part of a renowned wealth management firm. 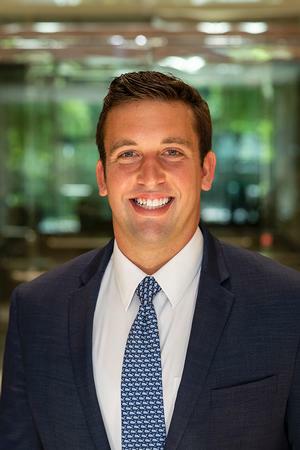 Working with the Meridian Wealth Group, Aaron leverages a variety of customized solutions to assist clients in each stage of financial planning. He brings energy and enthusiasm to the team, and is a vital contributor to their overall success. As part of B. Riley Wealth, a full-service wealth management firm that combines small-firm service and accessibility with large-firm resources and technology, Aaron and the rest of the Meridian Wealth Group have the tools, expertise and flexibility to address any scenario a client may have. Aaron moved to Nashville from Barrington, Rhode Island, in the summer of 2011. He studied entrepreneurship at Belmont University. Previously, Aaron worked in wealth management at UBS Financial Services. In his free time, he enjoys volunteering, working out, traveling and taking his dog Lucy to the dog park. Grateful for this opportunity, Aaron looks forward to helping clients find solutions to life's many questions.